NASA JPL:Comet Wild 2, as seen from NASA’s Stardust mission. A team of scientists, led by University of Hawaiʻi at Mānoa geophysics professor Ryan Ogliore, released a unique study using material returned from NASA’s Stardust mission to better understand the building blocks of our solar system. “This study he’s done is the first in the world.” said Ogliore’s colleague Kazu Nagashima. The study, published in collaboration with a team at University of California, Berkeley in April’s edition of Geochimica et Cosmochimica Acta, found that dust and rocks collected from the comet were much more diverse than scientists previously thought, leading to potential explanations how the solar system started. NASA’s Stardust flyby mission of comet Wild 2 used spacecraft to collect particles from the comet’s tail in a low density silica aerogel while moving at about 6 kilometers per second. These particles were then returned to Earth, where Ogliore and his colleagues at UH Mānoa, Nagashima and Gary Huss, could study them. “The Stardust mission was a sample return mission. When Stardust was launched, we didn’t really have any return samples from space since the Apollo missions,” said Ogliore. 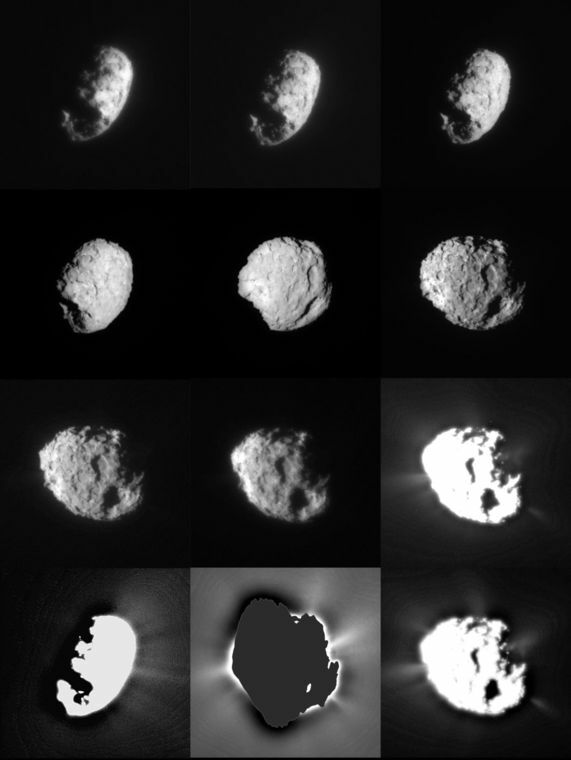 According to Ogliore, the comet is comprised of a vastly diverse range of material. “To get the diversity that we saw in the comet, we would need oxygen that’s consistent with the sun and also consistent with these exotic objects that we see in all these different meteorite classes.” said Ogliore. Ogliore described the combination of small and large dust and rocks collected from the comet. According to him, the dust and rocks couldn’t have been made in the same way, yet were found next to each other. “This really primitive stuff and ice is sitting right next to an igneous rock, within a millimeter. These things have had such dramatically different history, and they’re together in the comet right now,” Ogliore said. Determining the composition of the small, microscopic dust from the comet turned out to be a challenge for Ogliore and his team. “It [the small dust] is so small and it’s so mixed with that silica aerogel that we collected it in that most people have given up on analyzing it. They thought, ‘Well it’s lost,’” Ogliore said. Ogliore’s team worked with a group at Berkeley to come up with innovative techniques to examine tiny dust from the comet. According to Nagashima, who was responsible for operating the machine that analyzed the so called lost samples, the tiny sample size required a better focus of the beam of ions as well as optimizing the collecting efficiency. Discovering immensely different materials right next to each other led to two different explanations as to how the comet could have been constructed. The first explanation compares the life of the comet to a garbage collector in the solar system, collecting an enormously diverse range of material from different places throughout the solar system during its creation. Ogliore hopes to find new ways to analyze the material in order to answer how the comet was constructed, as well as questions about Earth’s history.